The new Trader Joe's store will open Sept. 29 at 750 Pennsylvania Ave., SE, about two blocks from Eastern Market. WASHINGTON — Capitol Hill is getting the District’s first Trader Joe’s store outside of Northwest D.C. next week. The new Trader Joe’s store will open Sept. 29 at 750 Pennsylvania Ave., SE, about two blocks from Eastern Market. It will be only the third Trader Joe’s store in the District, although it plans another one at 1240 4th St., NE in the Union Market neighborhood. Trader Joe’s two existing D.C. locations are on 14th Street near the U Street Metro and on 25th Street in the Northwest neighborhood of Foggy Bottom. It also has stores in Maryland in Bethesda, Gaithersburg, Silver Spring and Rockville, as well stores in Virginia in Alexandria, Arlington, Bailey’s Crossroads, Centreville, Fairfax, Falls Church, Reston and Springfield. The 13,000-square-foot Capitol Hill store includes underground parking. It also has murals that pay tribute to nearby landmarks, including Eastern Market, the U.S. Capitol and Barracks Row. The first Trader Joe’s opened in Los Angeles in 1958. 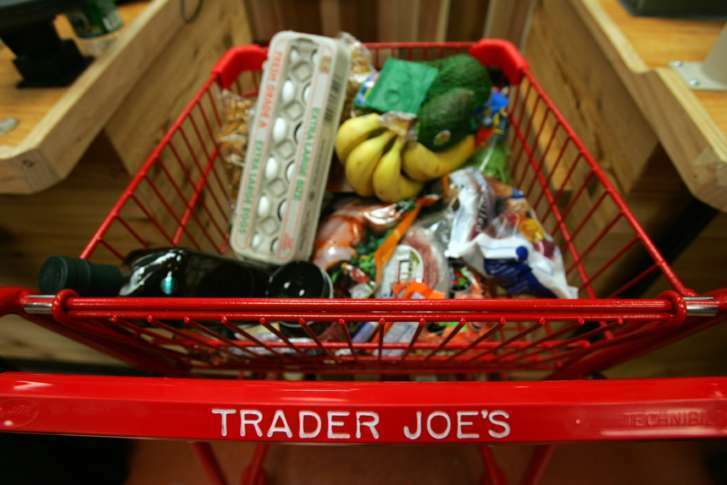 There are more than 460 Trader Joe’s stores in 41 states now.